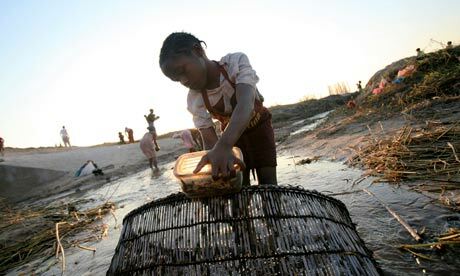 You can’t teach a thirsty child | International development journalism competition | guardian.co.uk. There you have it – confirmation that I’m through to the final 16 in the Guardian International Development Competition with an article based on May’s trip to Zambia with LearnAsOne. The competition is run in association with a load of NGOs and the DFID, and the idea is that the 16 semi-finalists get to go overseas and cover a story for a special supplement. There were two categories covering both professional and amateur journalists, and a winner in each each (based on the next article we write) will be announced in November. For me, though, this was the real prize. The chance to meet people at the Guardian working in the field I’m most interested in and go overseas with some of them on an assignment. I’m not naive enough to believe there’s a job waiting at the end of it, but in terms of career-enhancing network opportunities – and as a learning experience in ‘serious’ journalism – it’s pretty much, as we say, da bomb. There’s also a more personal reason I’m so glad to have made it through. The only reason I was able to take time off and pay for the Zambia trip – something I’ve always wanted to do but never had the resources for in the past – was thanks to a small inheritance from my grandmother who died earlier in the year. She was a strong supporter of both children’s charities and Fair Trade goods throughout her life, and aside from the work already achieved with LearnAsOne, I think she’d be very happy that this opportunity has also come about as a result of her legacy.